Reger Rizzo & Darnall Welcomes Ernest H. Ehling, Esq. to the Firm! 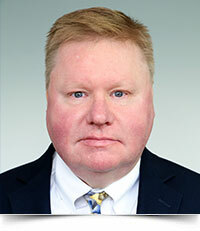 Reger Rizzo & Darnall is pleased to announce that Ernest H. Ehling has joined the Firm as Of Counsel in the Mt. Laurel, NJ Office. Mr. Ehling joined members of the Firm’s Estates & Trusts, Business Succession Planning, Real Estate and Alternative Dispute Resolution Groups. Mr. Ehling is an experienced attorney, tax and financial professional with broad knowledge in the areas of law, taxation, business succession planning, investing and insurance. He brings more than 25 years of experience to his legal practice with a specific concentration in financial and tax research and analysis, and technical legal, tax and financial matters. He has extensive experience with a wide range of matters, including sophisticated estate planning for high-net-worth individuals, estate and trust planning, estate and trust administration, business, real estate, taxation and other legal matters. Prior to joining Reger Rizzo & Darnall, Mr. Ehling served as a Financial Advisor for Merrill Lynch Global Wealth and Investment Management in Red Bank and Freehold, NJ, and also previously served as a Senior Tax Consultant to Deloitte & Touche in Philadelphia, PA. He has lectured to the public, lawyers and other professionals and authored articles and materials on a variety of topics including estate and charitable planning and tax.